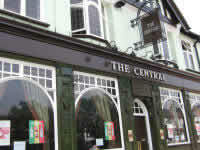 The Central is a basic, budget hotel, located in the East End of London. Guests at this hotel get to enjoy the benefit of being located above a traditional London pub. This atmospheric Victorian pub is a great place to soak up a real taste of the East End. You can relax with a drink or enjoy a game of pool or darts. Staying at The Central you will see a completely different side of London life, which contrasts dramatically with that of Kensington and Notting Hill. The Central offers very basic accommodation and is therefore ideal for tourists and students who are travelling on a budget. Rates are considerably cheaper than those of more central hotels and transport links from Upton Park make travelling around East London easy, with train access to Central London. 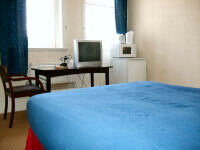 The majority of rooms are singles, but double, triple and twin rooms are also available. The Central is self-catering accommodation, so there is a well-equipped kitchen for saving money on meals. The Central is a short tube ride away from Greenwich, where you can visit the National Maritime Museum, the Greenwich Meridian and even take a boat tour into Central London. You can also explore the markets of the East End such as Petticoat Lane, Spitalfields and Columbia Road Flower Market, all of which are easy to access and give you a sense of the lively East End atmosphere. 10 min. away from Excell. Upton Park Station is the nearest underground stop to The Central. This station is on the District Line and the Hammersmith & City Line. Leave Upton Park Station onto Green Street and turn right. Walk to the end of this road and you will reach Barking Road. Turn left and walk down road until you reach The Central on the right-hand side.